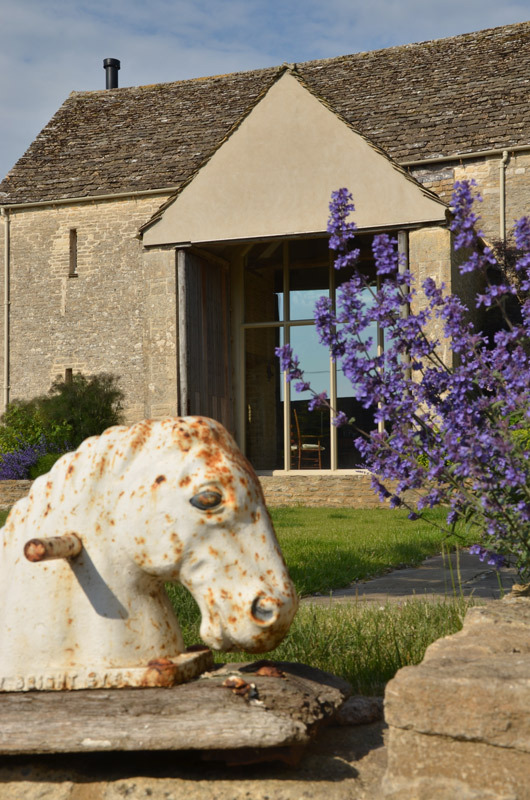 A wonderful grade II listed converted Cotswold stone barn situated in a small hamlet. Relaxing place to spend some time, with views of the gardens, duck pond and across to the horses grazing in the field. 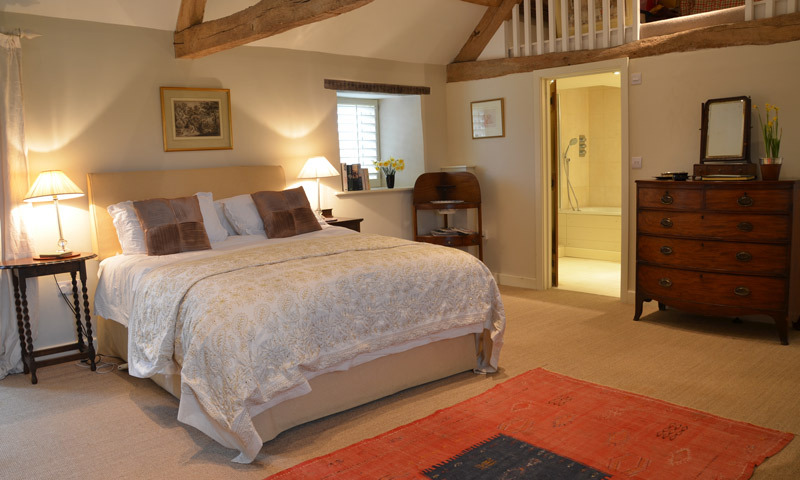 Come and stay in the very comfortable ground floor spacious bedroom with en suite bathroom. “ Welcome to Ashley Barn. Home of Rick, Amanda and their children. 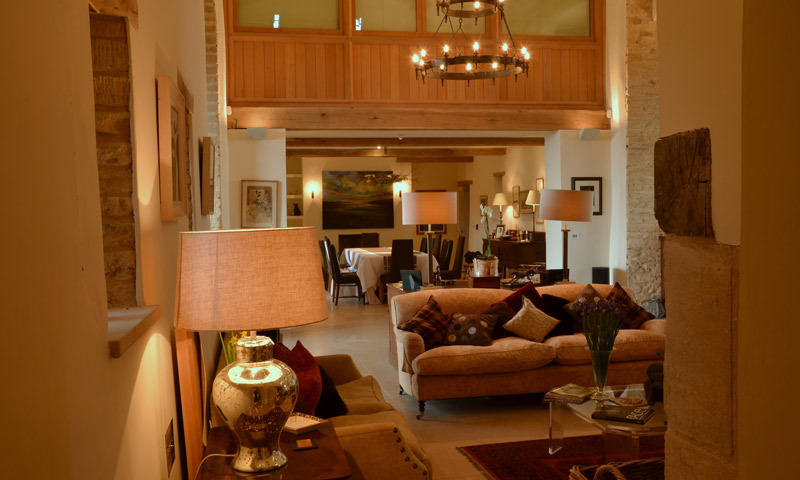 Come and stay in the very comfortable ground floor spacious bedroom with en suite bathroom leading through to the dramatic double height drawing room and dining room. Arrival and departure times can be arranged to suit individual guests who are given the key for the duration of their stay and are able to come and go as they wish. Parking right outside the room. Full cooked English breakfast with choice of teas and coffee. Please let Amanda know of any special dietary requirements or requests the night before or preferably before arrival. Tea and coffee making facilities with freeview TV and wifi internet access are in the en-suite room. Amanda is happy to recommend restaurants, local sites and to help with any additional requests. With lovely views across open fields, there is an array of animals from dogs, horses, ducks, chickens and also Margo, the not so micro pig who live at Ashley Barn. 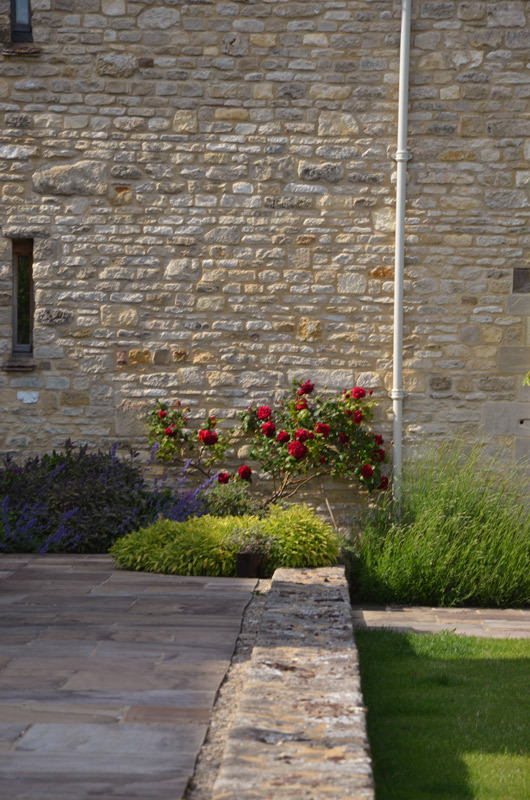 With pretty gardens to walk round with an abundance of roses near to the duck pond. Cattle and sheep graze in neighbouring fields. Ideally located on the ground floor (no stairs!) with its own entrance, park right outside your spacious room. Underfloor heating keeps the rooms at a comfortable temperature all year round. Either read in one of the side chairs or your very comfortable king-size bed awaits you with white 100% cotton linen, plump pillows (an electric blanket) when required. With shutters at all the windows (east and west facing) the room is very quiet. Tea and coffee making facilities on a tray, wifi, free view TV, a selection of books and magazines. A bright and airy bathroom with overhead shower and a selection of toiletries. From the bedroom, walk through to the family drawing and dining room which is at your disposal to enjoy. With an open fireplace, games, books, it is a wonderful room to sit and relax and enjoy your surroundings. 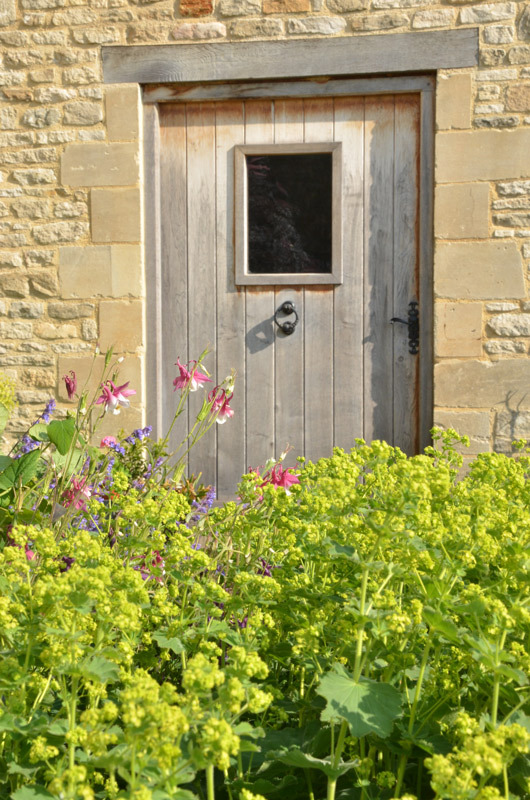 Ashley Barn is toward the southern end of the Cotswolds. 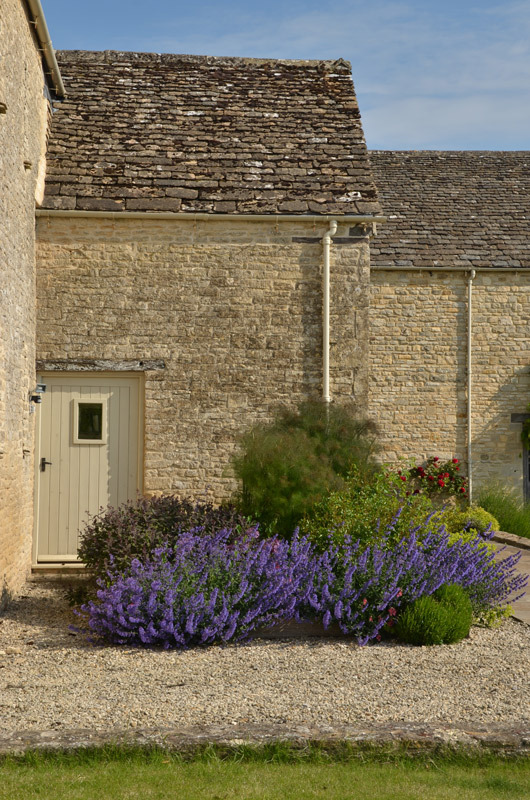 Ashley is located a few miles from the historic towns of Tetbury,Malmesbury and Cirencester. Short or long term lets are available- please ask. More details about pricing here.